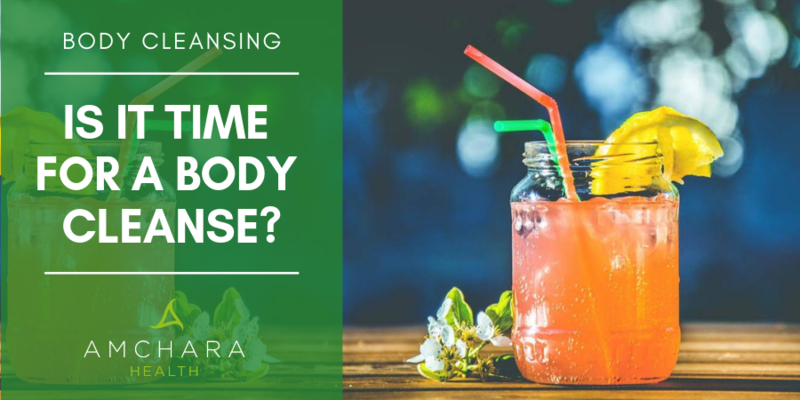 The body has several mechanisms for cleansing and as we are exposed to extraordinary levels of toxins, the cleansing process is continual and vital to help prevent the onset of disease. Try our handy hints to enhance your body’s cleansing process. Remove processed foods, artificial sweeteners, colours, flavours and sugar. These all put demands upon the body and many processed foods contain so many synthetic and artificial ingredients (quite often far removed from any natural origin), the label looks more like a chemistry experiment. Use a water filter and drink at least 2 litres of water each day. Starting the day with hot water with juice from ½ squeezed lemon in it stimulates the liver to cleanse and kick starts your metabolism. Increase vegetables and fruit intake. With a focus on more vegetables than fruit, aim for 8-10 portions a day. They contain many rich colours and a variety of nutrients that stimulate the liver, offer protection and aid with elimination. Choose organic which have had less exposure to toxins such as fertilisers and pesticides. Pin up a rainbow fruit and vegetable chart where you can tick off which colours you have eaten that day. Eat good quality protein. This is essential for several liver pathways that eliminate toxins. Include eggs, oily fish, white fish, organic grass-fed meat and poultry, brazil nuts and sunflower seeds. Up your fibre intake. Fibre helps to “sweep” the intestines of accumulated waste and also aids in the removal of toxins through the bowel. In addition, the good bacteria that reside in the gut feed from certain fibres, which encourages their growth and helps to regulate bowel movements. The beneficial bacteria also ferment the fibre to produce molecules that support the bowel and other areas of the body. (1) Good fibre rich foods include fruit, vegetables, oats, nuts, seeds, lentils and beans. Sweat more. The body uses sweat to remove waste and a hot sauna or intense exercise raises body temperature and encourage sweating. Ensure you drink extra water to account for losses through sweat. Dry skin brushing. Using a long-handled brush with natural bristles, make circular motions from the tips of the fingers or toes towards the heart. This helps to stimulate lymphatic flow and move toxins for excretion. Skin brushing is best done before a shower- after showering apply a natural oil such as coconut oil to moisturise the skin. Remove toxic toiletries and cleaning products to minimise skin exposure to toxins. Ditch the shower gels, shampoos, moisturisers and hair products that are full of chemicals and choose non-toxic and environmentally friendly versions. Would you Benefit from a Juice Cleanse?